Though soft serve is certainly tasty, it’s never been the classiest member of the ice cream family. Compared to the white picket fence lifestyle of traditional scoop ice cream or the European glamor of gelato, soft serve is kind of like your uncle who lives in a trailer next to the lake. Sure, living next to the lake is nice, but he still lives in a trailer. But what if you could class up soft serve? 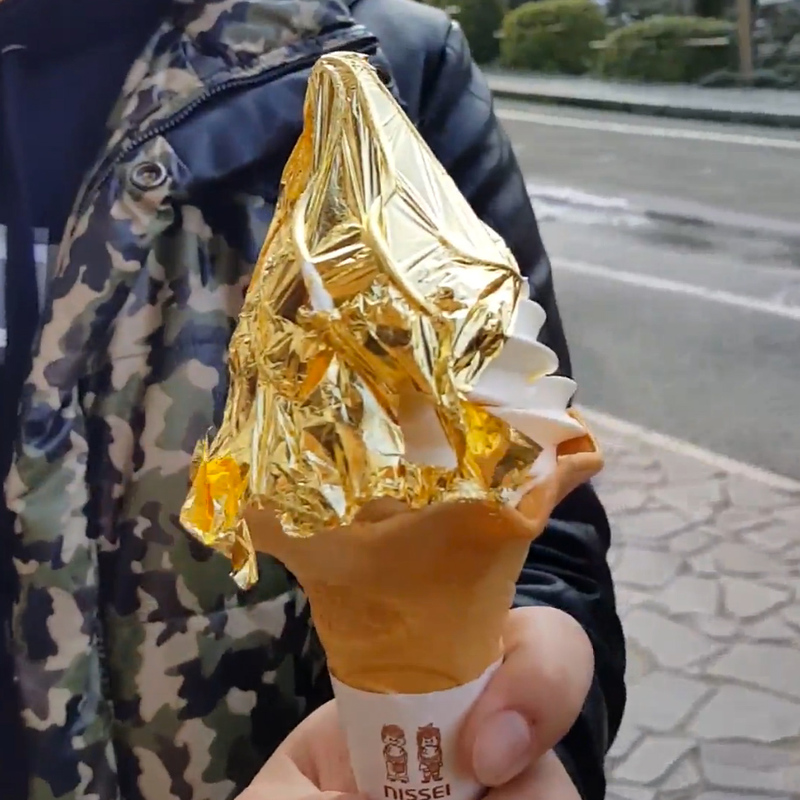 An ice cream parlor in Japan has been trying their damnedest – by wrapping it in pure gold. A shop called Hakuichi has recently garnered international attention for taking boring vanilla soft serve and attempting to up its status by covering it in a thin layer of edible gold leaf. Though the combination might seem a bit odd, the city of Kanazawa, where Hakuichi is located, is considered the gold leaf capital of Japan – and I guess business must be slow because there seems to be plenty of extra gold leaf to go around. Of course, gold leaf doesn’t really add any flavor. And under all that glitz and glamor is still just your typical soft serve. But hey, if your uncle wants to wrap his trailer in gold, you let your uncle wrap his trailer in gold. It’s good to see him active again after the divorce.